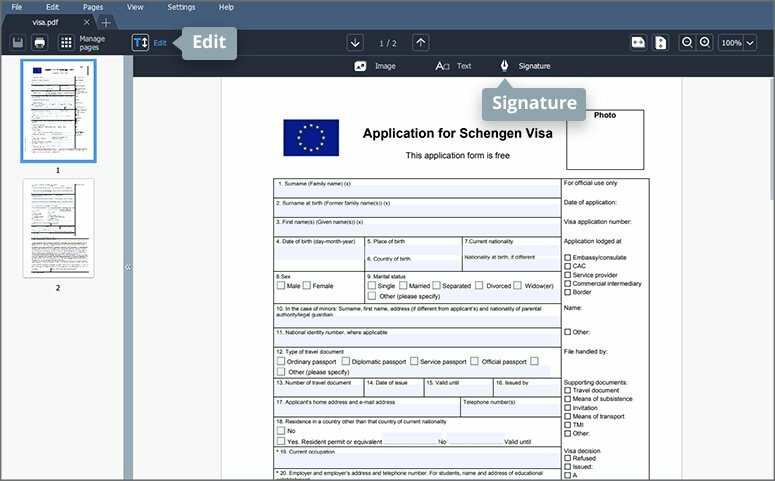 Working with fillable PDF forms for PC is now much easier with Movavi PDF Editor! 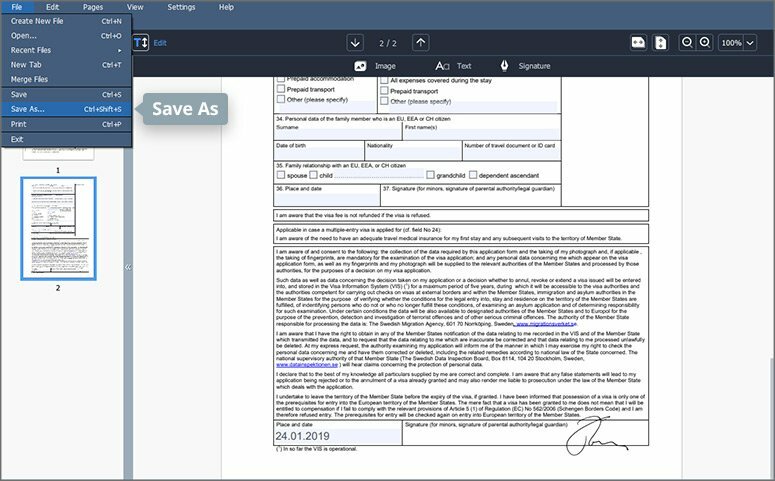 This secure and effective PDF-editing software for Windows and Mac lets you complete and sign any form without risking data leaks. People often need to complete a fillable PDF form – it’s a big help if you have to fill out an apartment lease, apply for a visa, and many other reasons. As there may be important confidential data in the document, the form-filling process has to be secure. 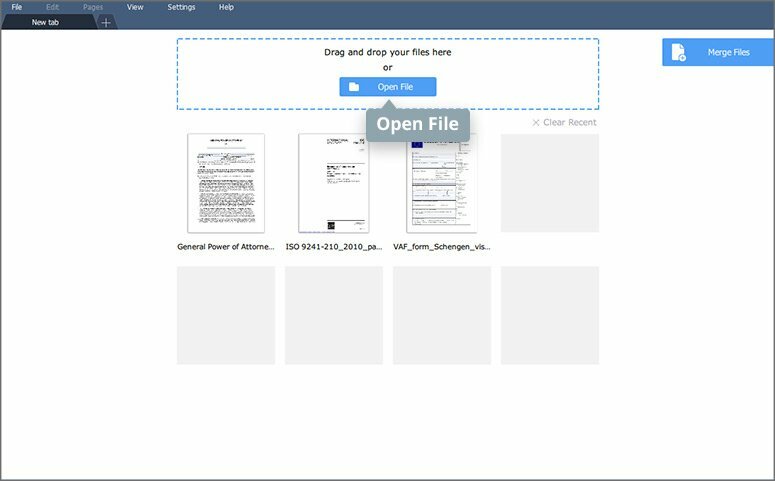 If you are looking for a safe way to view and fill in PDF forms, we recommend using Movavi PDF Editor. Movavi PDF Editor presents an all-in-one solution that includes everything you need to complete legally valid forms. This secure, easy-to-use tool lets you fill out, sign, and submit any PDF form directly from your computer without the risk of being hacked. Below, you will find step-by-step instructions on how to fill out a PDF form on your PC or Mac. Before completing the required form, you first have to find a fillable template. It’s easy enough to just Google for a fillable PDF form for your purpose. You can always check if a PDF form is fillable by the fields highlighted in light blue. Download, install, and activate Movavi PDF Editor on your computer. Open the PDF form you need to complete using the Open File button. Alternatively, you can drag and drop the form file into the workspace. Fill in all required fields on the form. To save the edited PDF form as a new file on your computer, click File on the menu bar and choose the Save As option. If you need to save changes back to the PDF file, click the Save option from the File menu. That’s all there is to it! 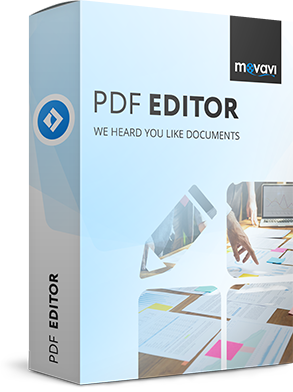 Working with PDFs is easy and safe with Movavi PDF Editor. Reading time – 7 min. Reading time – 5 min.